The programme survey asked about the availability of 5 top cancer drugs. Big disparities in the availability of some cancer drugs - sometimes in adjoining areas - have been uncovered by a UK-wide survey. The poll, carried out for the BBC One series, Dom's on the Case, focused on drugs not yet given approval for widespread NHS use. While some authorities accepted all requests for the five (once recommended by a doctor), others accepted none. Cancer Research UK says the postcode drugs lottery remains a major problem. Programme researchers contacted all of the 149 Primary care trusts (PCTs) in England, and the health authorities in Scotland, Wales and Northern Ireland. The researchers asked how many cancer sufferers in each area had been given five top cancer drugs that had been recommended to them by their GPs. The drugs included in the survey were Avastin, Erbitux, Nexavar, Sutent and Tarceva. All five drugs are relatively expensive - with the cost of treatment running into thousands of pounds. At the time of the survey, none of them had the approval of the bodies responsible for giving guidance on the use of new medicines, treatments and procedures within the NHS to treat specific forms of cancer. In England, Wales and Northern Ireland, that is the National Institute for Health and Clinical Excellence (NICE), and in Scotland it is the Scottish Medicines Consortium. In such cases the decision about whether or not to provide the drugs lies in the hands of the individual PCT or local health authority. The results of the survey show great disparities, sometimes in adjoining areas. In Yorkshire, the PCT for North Yorkshire and York funded only 10% of requests for top cancer drugs, while the neighbouring East Riding of Yorkshire PCT funded almost 90% of applications. People prescribed Sutent by their doctors for kidney cancer would be unlucky if they lived in Oxfordshire whose PCT turned down 12 out of 13 requests for the drug, compared to people living just a few miles down the road in Buckinghamshire, which did fund 13 out of 15 requests for the same drug. In fact, the survey revealed that Oxfordshire is one of the worst places in the UK to apply for the five top cancer drugs, since it turned down 16 of the 17 requests it received last year. Havering and East Lancashire PCTs, which both received 15 or more requests, each agreed to fund 100% of them. In Wales too, there were huge disparities. 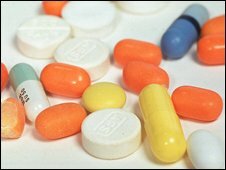 Swansea funded less than 8% of all requests for drugs, compared to Pembrokeshire which funded more than 70%. In Scotland, Greater Glasgow PCT turned down every application they received for the drugs. Northern Ireland has funded all of the requests made for Sutent in the last two years. Richard Davidson, Cancer Research UK's Director of Policy and Public Affairs, said: "This report not only gives clear evidence that the postcode prescribing lottery remains a major problem, but probably underestimates the scale of it." He added that Cancer Research UK would like to "see a transparent, streamlined and fair approach to ensure that doctors, patients, and the PCTs themselves are clear about how decisions about funding will be made". The Department of Health said it is was working with NICE to make sure significant new drugs were appraised as soon as possible after they received a licence. It was also working towards greater transparency in the system so that people who are turned down know why. It said: "Taken together, these measures will help to end the perceived lottery of funding for prescribed drugs." Dom's on the Case, a five-part investigation into the NHS continues on Wednesday, 24th September, 2008 at 9:15am on BBC One.